Set up systems now to make it easy to keep things organized in the future. 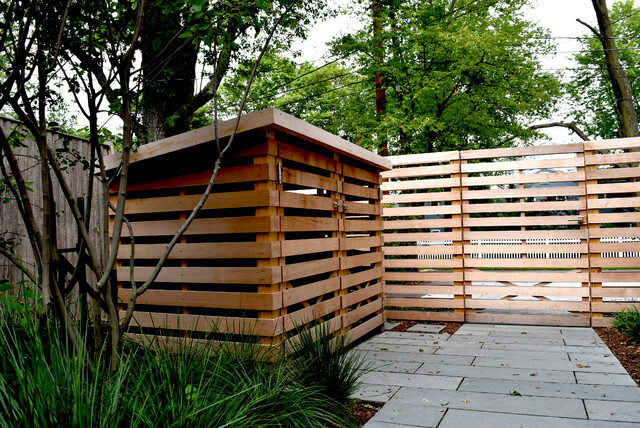 For example, the easiest place to store waste bins is close to the street, concealed by a structure or clipped hedge. Designate a spot for the bins so that putting them away in the future will take minimal effort. Home Landscape Makeovers West U.S.